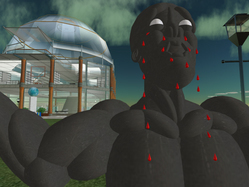 Detail of sculpture by Darrien Lightworker in Second Life. Located at Virginia Tech memorial on Info Island. 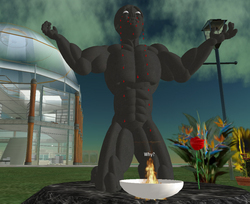 Lightworker&#39;s description reads: "One blood tear for each soul lost in Virginia Tech"
Sculpture by Darrien Lightworker in Second Life. Located at Virginia Tech memorial on Info Island. Lightworker&#39;s description reads: "One blood tear for each soul lost in Virginia Tech"